The art of nature is something which fascinates and motivates me in my photography. Powerful agents of the light skies, Yellow Billed Kites are agile, fast and deadly. These masters of flight are something to behold. They pair up for life and are formidable hunters. 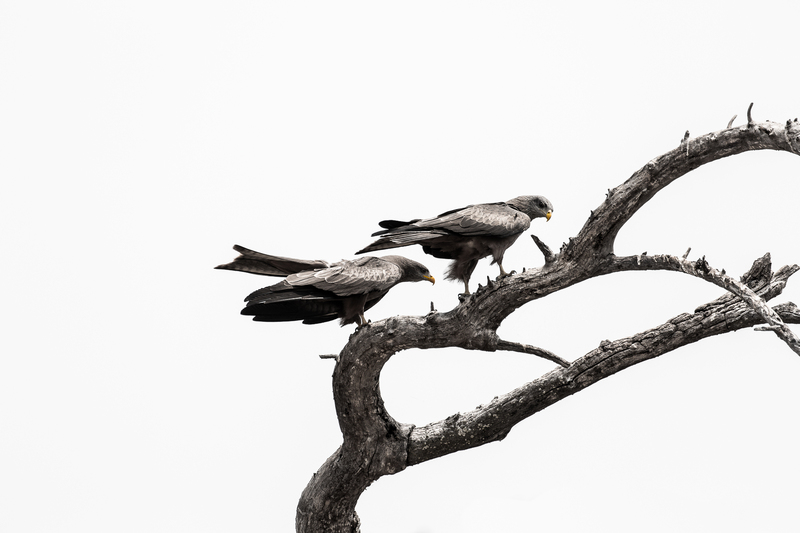 The unobstructed isolation of this beautiful breeding pair of birds against the light sky all the while on a textured branch made for a beautiful scene and creates a magnificent and slick print.